Paper arrived from Transport Canada. At the far left, you may see today's transportation. The Birch - Clayburn Village = 60km. When the store was built? According to another sign, someone around the turn of the last century, found good clay at near by Sumas Mountain. Maybe this same person started making bricks. 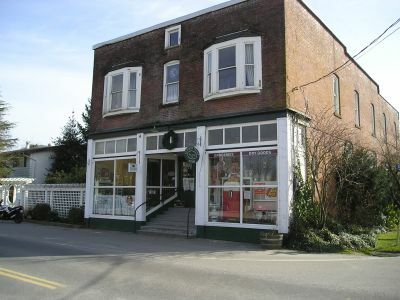 Their product was used for major Vancouver and Victoria buildings. Later they were shipped all over the world for their quality. What did I eat with English tea? Such a beautiful evening. 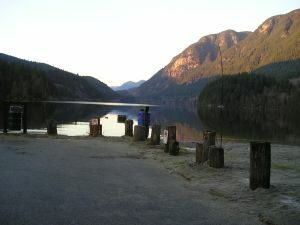 Though rush hour traffic had started already, Ninja ride to Buntzen Lake. I had only 5 minutes to spare at the park. The gate was being closed. Rode to Delta Airpark (28km), flew Turbi to Sechelt-Gibson, walked a long way to the nearest restaurant for lunch, flew back and rode back another 28 km home. Honestly I felt tired. Flying takes up so much energy, I guess. That must be the reason Japanese fighter pilots were fed well even towards the end of the War, when food was scarce. Next time, I'll take a camera on this kind of clear weather flying. VFR Over the Top qualification was a simple matter. 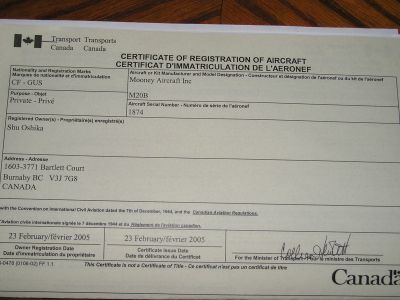 At Transport Canada office I payed $30, and then a new license with "VFR OTT" was issued to me. This helps me on a future ferry flight of Mooney from Calgary over the Rockies. S. and T. (IFR instructor) gave me a good information on VFR on top regulation in Canda. I learned this privilege comes automatically with IFR rating. As I had IFR before, I must have it with me, though my license doesn't display specifically. This may dramatically help me for a ferry flight of Mooney CF-GUS from Calgary over the Rocky Mountains. With supplementary O2, I may take the Victor Airway V304 at 14,000 feet, jsut like IFR flight. GUS has a turbo charger equipped. Seminar day at lunchtime, I met with a couple of familiar pilots at the Rudy's cafe, Boundary Airport. Both of them gave me a good tip on O2 for flying. B. told me there is a store on Canada Way at Willingdon, where they sell O2. They might have cannulas, too. Another B. gave me URL for O2 satulation tester. Over the past weekend, I attended the IFR seminar second time. It was from Friday to Sunday, 3 grueling days, sitting 10 hours in a classroom. Somehow the provided free coffee kept me awake. 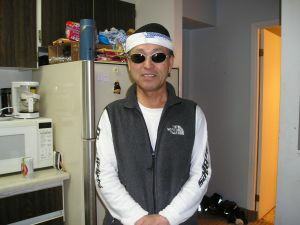 Monday, fresh from the seminar, I wanted to go to Transport Canada in Richmond to sit for the real exam. 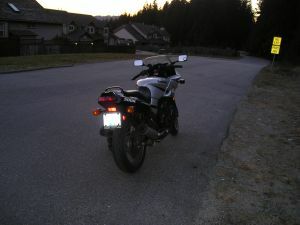 The day dawned with dusted snow, too risky for two wheeled transportation. I'll wait till the noon, wishing the warmer air will melt it. Someone may be telling me to do the last minute debriefing.